Noh is the famous tradition entertainments of Japan. The leading role attaches the Noh mask that fit the character of the story and play. As for the Noh mask, there are a lot of kinds. There are a girl, adult women, boys, adult males, old women, grandfathers, revengeful ghosts, demon etc. 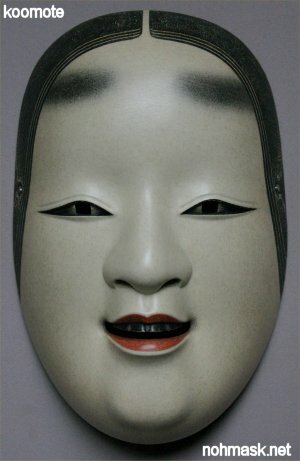 The form of the Noh mask finished by the Edo early period. The thereafter, the Noh mask is supposed to copy an excellent Noh mask. I observe an old excellent Noh mask well in, this page and do the carving, design color and be introducing the Noh mask that I completed. The material of the Noh mask uses a japan cypress, powdered shell, giue, japan etc. Please see my work. eye and tooth and be doing the plating.